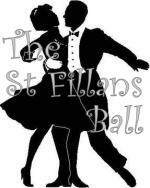 The St Fillans Ball will be held at the Four Seasons Hotel, St Fillans on Saturday 20th May 2017. Drinks at 7:00 pm., Dining at 7:30 pm. Any funds raised during the evening will be donated to Scotland's Charity Air Ambulance. All villagers will be given first option. We are having a Bottle Stall for which donations of bottles (of the alcohol variety) will be gratefully accepted. Please hand them in to an organiser or we will collect them.